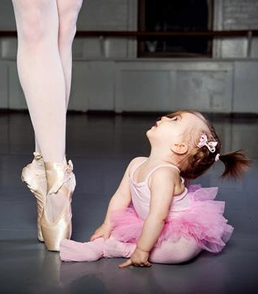 A Dancer’s Dream proudly offers a comprehensive approach to children’s and adult dance programming, taught with creativity, caring, and commitment. Located in Marblehead, Massachusetts, our school opened in 1988 with an innovative and continually evolving curriculum designed by director Beth Wheeler. We welcome students of all abilities. Our goal is to help our dancers grow as people and to help them reach their personal goals as dancers whether that be recreational enjoyment, college dance and/or a professional stage career. Our studio’s objective throughout the years has been to introduce dance and the arts through an experience that is always a pleasure, usually a challenge, and most definitely fun! We continually grow and evolve while upholding the standards that have made our school so special from the beginning. A Dancer’s Dream is the first studio in the world to have an entirely TAGteach™ certified teaching staff. The all-positive TAGteach philosophy is an intrinsic part of our curriculum. Our teachers, all of whom have exceptional teaching experience, cultivate enthusiasm in our students with their own joy in dance and a sincere love for children (we TAG, we don’t nag!). It is through our director’s distinctive vision that A Dancer’s Dream has grown into the respected center it is today. In addition to her commitment to studio development, Beth has created successful offshoot businesses geared toward educating and raising children with compassion and consideration. In keeping with this mission, Beth is responsible for creating some of the most innovative children’s programming in the Boston area and now provides groundbreaking teaching seminars around the world. Beth’s dance training began in the Boston area and continued at Roger Williams University and New York City. Her performing career includes national TV, music video, and industrial credits as well as Dance-Runway Productions. Beth has chaired the Marblehead Children’s Arts Festival (the nation’s longest running arts festival), produced and directed Dance-Runway Productions, and has sat on the boards of the Massachusetts Arts Council and the Marblehead Festival of Arts. Her choreography has been seen on national television commercials, music videos, industrials, Marblehead Little Theatre productions, and of course, has been performed by thousands of young dancers throughout the years.